Flight time 10HRS FROM LONDON. 5HRS FROM NYC. Hear that? It’s the Emerald City calling your name. The entirety of Seattle and its surrounding areas are filled with greenery, giving it its well-deserved nickname. 6,000 acres of parks are found within the city limits; beyond that, the forests extend as far as the eye can see. On your tour of the city’s hot-spots you’ll ascend the famous Space Needle, but if gazing out to the valleys from its summit whets your appetite for something more rustic, don’t worry. We also have some rural treats up our sleeve- such as the iconic Walla Walla valley. Beyond Walla Walla you’ll experience Quinault and Hoh rain forests, Hurricane Ridge, and whale watching – before landing back in Seattle after around eight nights. You’ll be up early on your first morning to make the most of the day – and it’ll be worth it, we promise. Chihuly Garden & Glass is the largest collection of Chihuly’s work in the world. The most renowned glass artist of all time, Dave Chihuly’s work is expansive, wild and animalistic- not forgetting the element of colour. He once said, “I’ve never met a colour I didn’t like” – and nowhere is this more evident than in the eight galleries in the Seattle museum. Make sure you take in the garden, which is every bit as full of awe-inspiring structures. Next stop – just next door – is the unmissable 605ft Space Needle, from which you ‘ll get an epic view of the entire downtown Seattle Skyline all the way to the Olympic and Cascade mountains. Finish the day with a one hour cruise tour round the harbour as you learn about Seattle’s history and get a close-up view of the waterfront. After your city tour it’s time to take things at a more relaxed pace – and that means a short flight over to Walla Walla, with its luscious and extensive valleys and, best of all, vast quantity of wineries. Golfers itching to practise their swing can squeeze in a round or two at the extremely scenic Wine Valley Golf Club, rated as one of the top three courses in Washington. After that, it’s time to try some wine. Our favourite winery is L’Ecole No 41, where you can experience a private tasting of five very special wines, including new releases, library wines or limited production wines – all in the cellar of the historic 1915 Frenchtown Schoolhouse. You’ll love their aromatic, award-winning selection. Your adventure becomes rapidly more rural as you head to Lake Quinault, surrounded by the Quinault Rain Forest. The forest is home to several record-breaking trees, such as the world’s largest Sitka Spruce, which is estimated to be over 1,000 years old; nothing reminds you of your place in the universe like walking amongst these rainforest giants. And – if you’re lucky – you might spot a Rain Forest Elk or two skulking beneath the trees. Then it’s time to bed down at the rustic Lake Quinault Lodge (built in 1926) with its roaring log fires and stunning views across the lake, which is just at the bottom of the lawn. Waking up you’ll be eager to discover more of the million-acre Olympic National Park so we’ll take you on a whirlwind tour. All in one day you’ll experience breath-taking mountain vistas with meadows of wildflowers, valleys of ancient forests, and colourful ocean tide pools. The wild Ruby Beach is likely to be the highlight: bald eagles circle the giant sea stacks, as huge surf-tossed logs scatter the shore. Wake up not to your iPhone alarm but to panoramic views as you anticipate another day in the beautiful Olympic National Park. Head off to Hurricane Ridge, a mountain citadel set right at the edge of the park’s jagged peaks, which is beautiful all year round. From the summit, the panorama encompasses the surrounding mountains, the San Juan Islands, and even Vancouver Island in British Columbia. In the summer you can see Olympic marmots, black-tailed deer and black bear. Next on your path is The House of Myths, a carving shed for the design and creation of totem poles, to meet the local artists and to learn about Northwest Native American history. The art gallery and shop offer traditional and contemporary artwork created by Northwestern artisans. Unwind in the evening in Port Townsend, one of only three Victorian seaports in the United States, where you can wander along the vibrant waterfront and pick and choose from its wide selection of bars and restaurants. 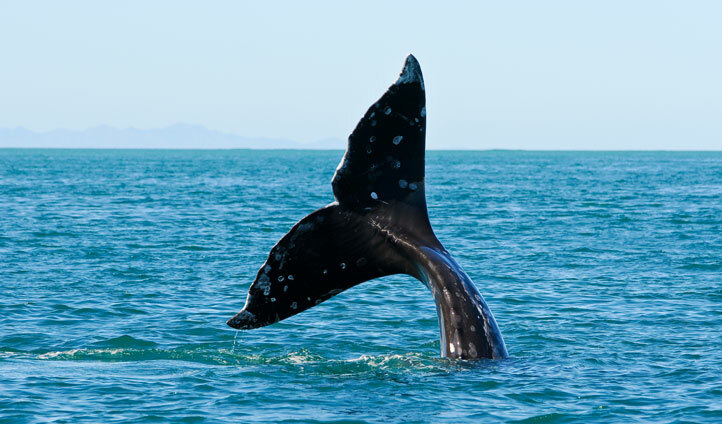 Set sail first thing in the morning for your cruise through the lush San Juan Islands, enjoying some whale watching on your way; from grey to humpback to killer whales, you’re bound to spot a few. Landing in Friday Harbor, you’ll have the chance to explore this quaint town, perhaps visiting the new San Juan Islands Museum of Art where there’s a rolling cycle of rare solo artist shows before flying back to Seattle for your final dose of the vibrant city. Perhaps you’d like to explore the famous Pike Place Market – an eclectic hotbed of gourmet stalls, with food from all over the world, not to mention the famous flying fish (the fishmongers put on a great display throwing the fish to one another). 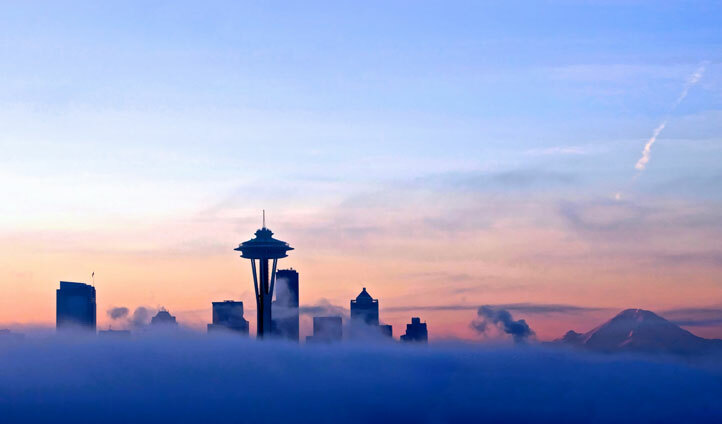 Alternatively, join an intimate Rock & Roll tour; having spawned the likes of Pearl Jam, Nirvana and Hendrix, Seattle is undoubtedly a music capital. Whatever you’re in the mood for, we’ll find the perfect way to end your Washington State adventure.